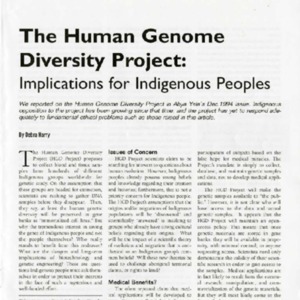 The Human Genome Diversity Project seeks to collect genetic information from indigenous peoples across the globe. Indigenous communities should be hesitant to comply, given the potential for misuse and exploitation. 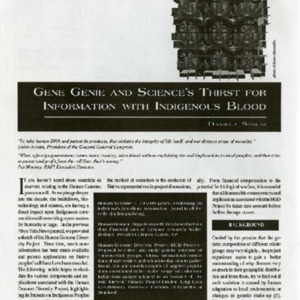 The controversial topic of researching and "immortalizing" the genetic code of humans is discussed. 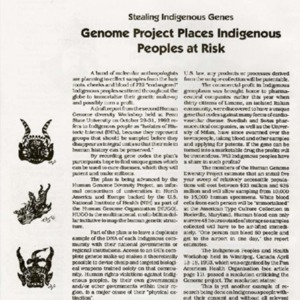 The Indigenous Peoples and Health Workshop in Winnepeg, Canada criticized the Genome Project on grounds of exploiting Indigenous people.